Keeping a shopping centre clean can improve occupancy, business trade and rental return. Clean paths and walkways, free from mould and dirt may also reduce exposure to litigation from slip hazards. The Pressure Clean Experts are the external, hard surface cleaning specialists. We are quiet, efficient and fast. Pressure cleaning in Shopping centres can be completed outside trading hours which minimises interruptions to business and will keep tenants and customers happy. For a complete building wash down, we recommend our specialised Softwash approach. This is virtually silent so there is no disruption to neighbours. We use bio-degradable cleaning products which do not cause harm to people, pets or plants. Our products will also not damage the surfaces we clean. The toughest jobs look easy! The Pressure Clean Experts are able to finish the most demanding of tasks in good time and often at a lower cost than employing in-house cleaners with substandard or non-specialised equipment. We can help with regular maintenance of shopping centres or provide a once off, overall clean to the premises according to your needs. The Pressure Clean Experts bring shopping centres back to new, leaving all areas gleaming. 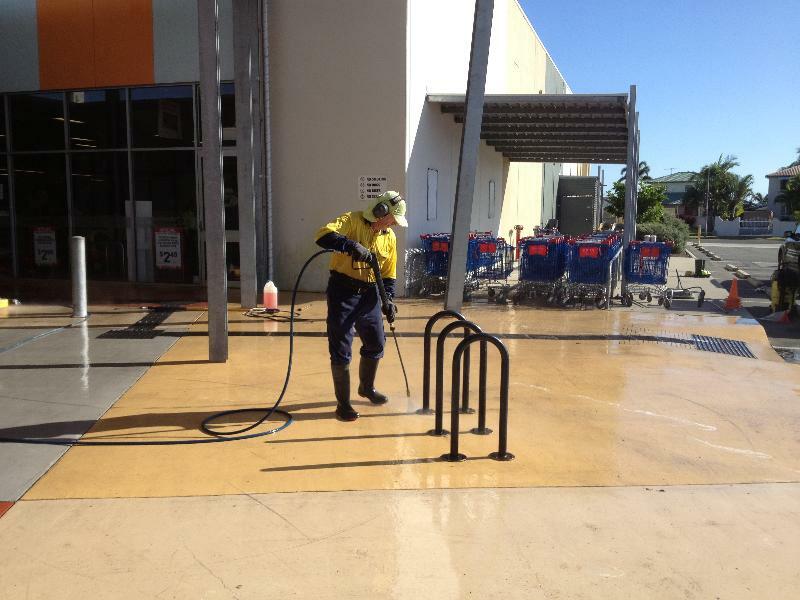 We are happy to provide an obligation free quote for the pressure cleaning of shopping centres. Call us today. 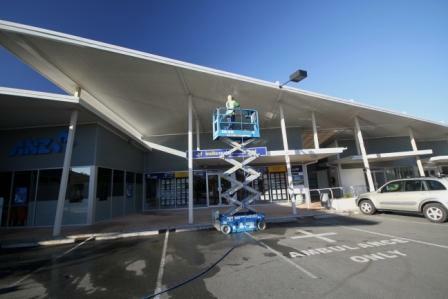 Get professional shopping centre pressure cleaning with The Pressure Clean Experts!